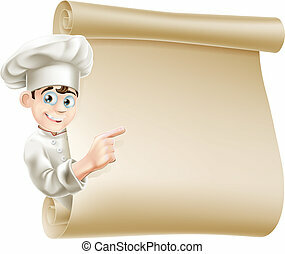 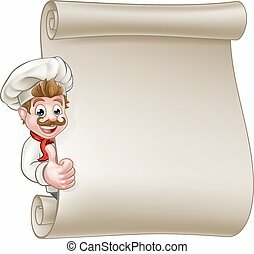 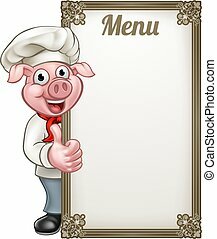 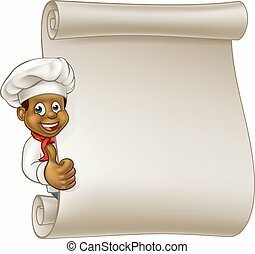 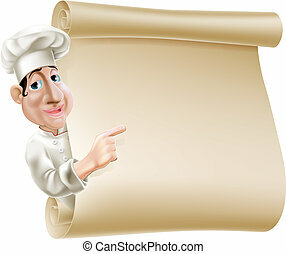 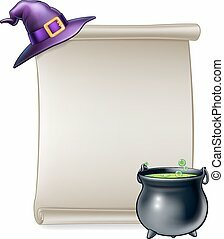 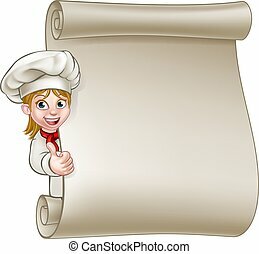 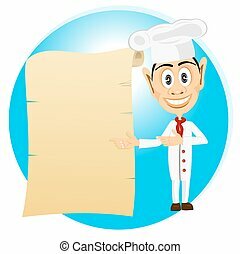 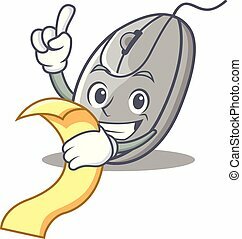 Cartoon cook menu scroll. 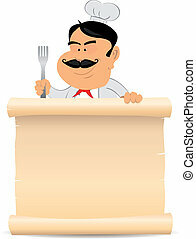 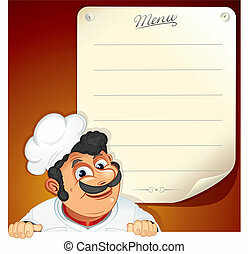 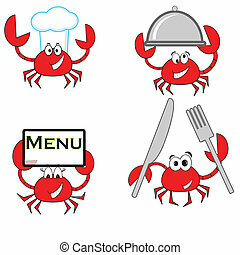 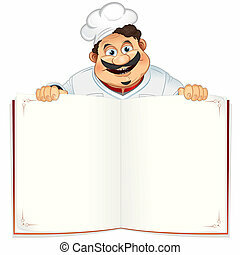 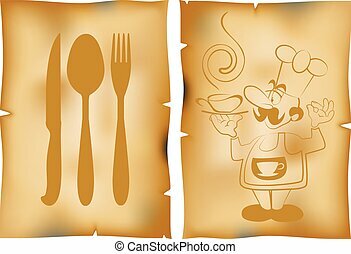 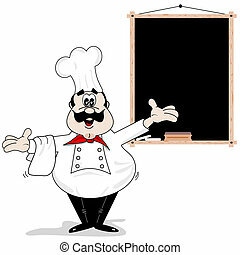 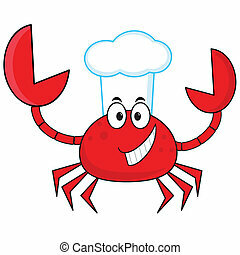 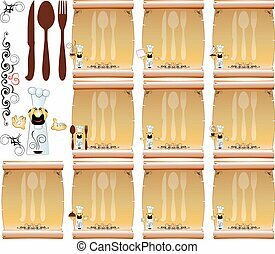 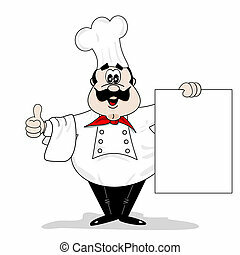 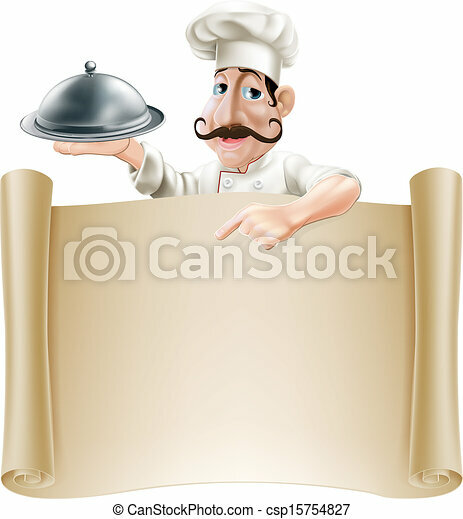 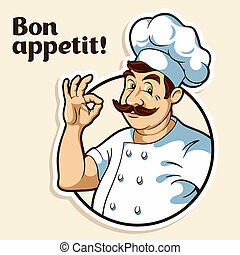 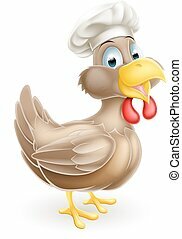 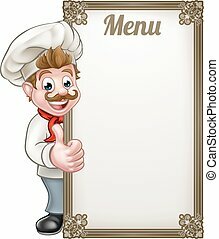 A friendly cartoon cook with a moustache holding a silver platter or cloche pointing at a banner or menu. 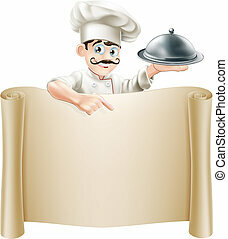 Young male chef holding a frying spoon. 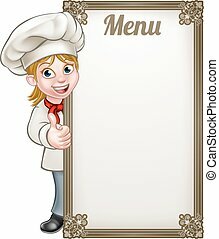 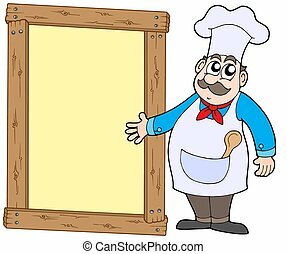 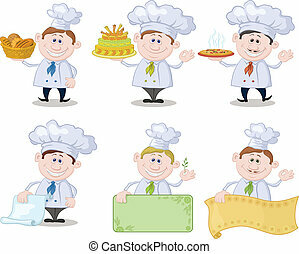 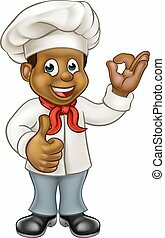 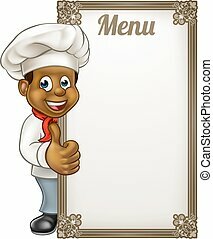 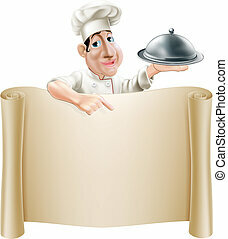 Chef with wooden panel - color illustration.